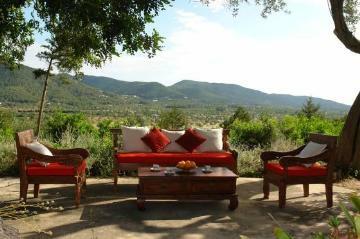 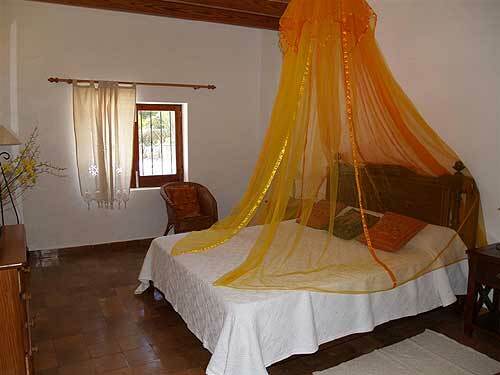 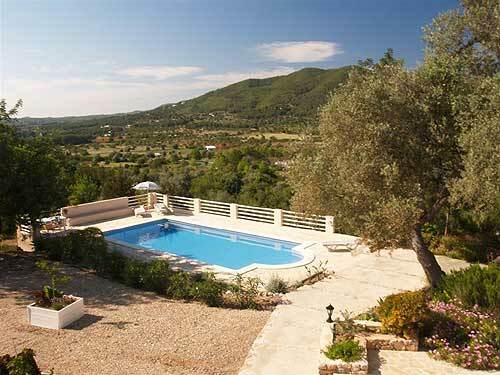 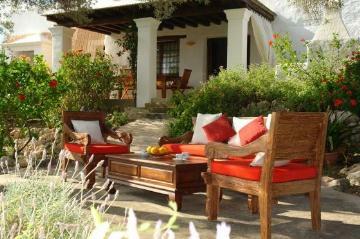 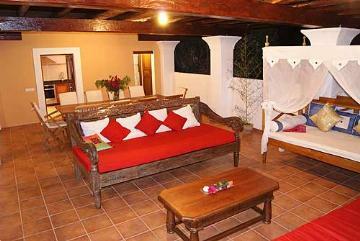 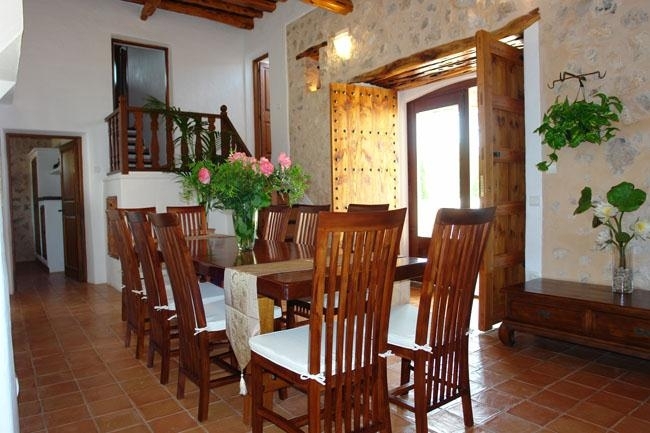 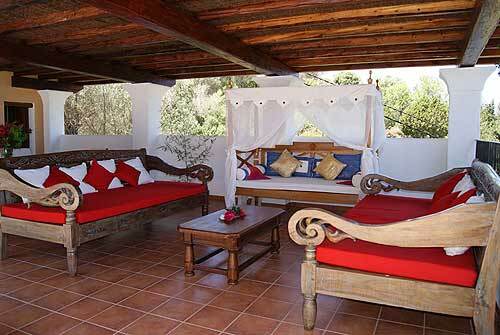 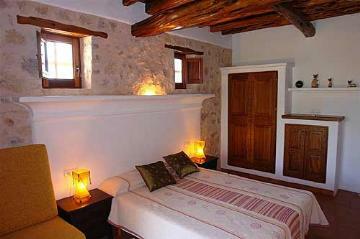 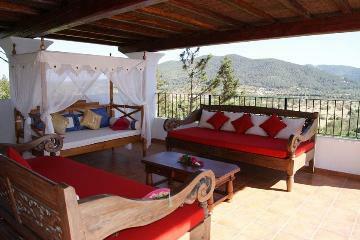 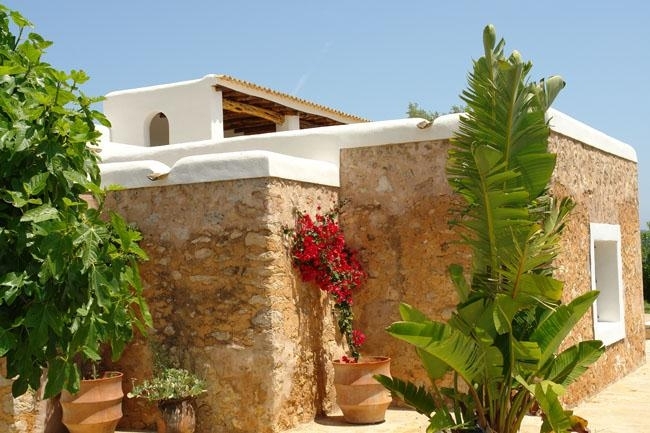 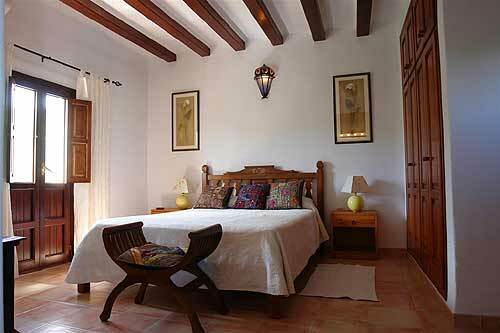 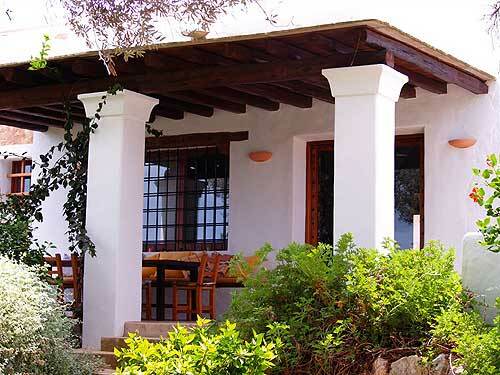 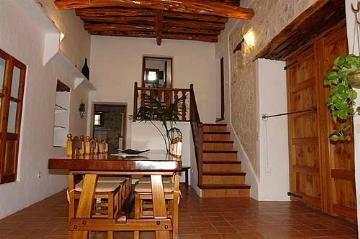 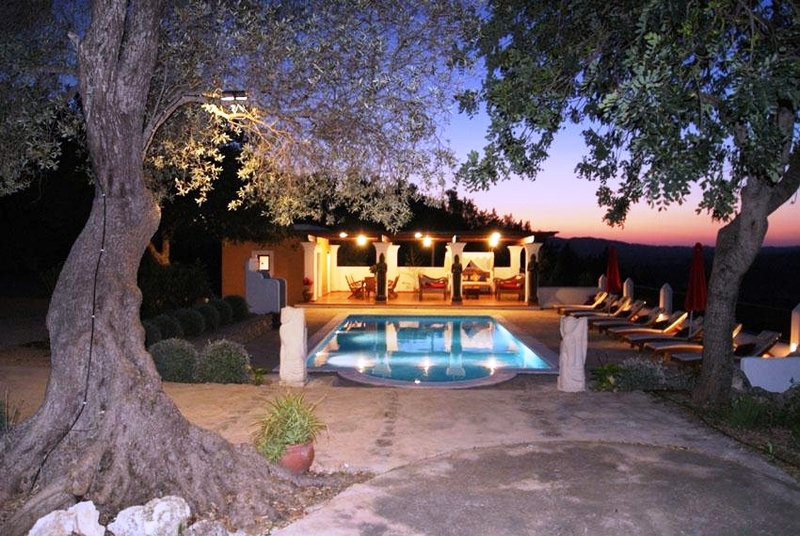 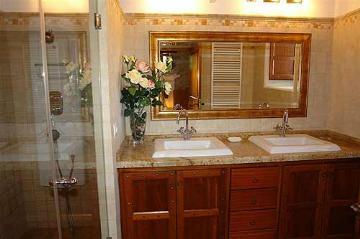 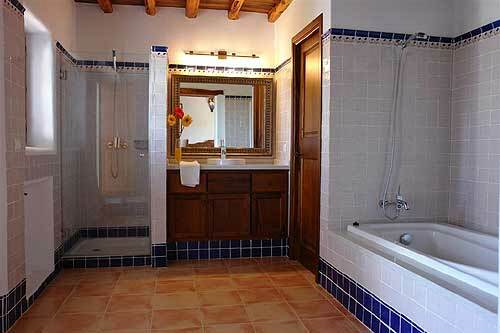 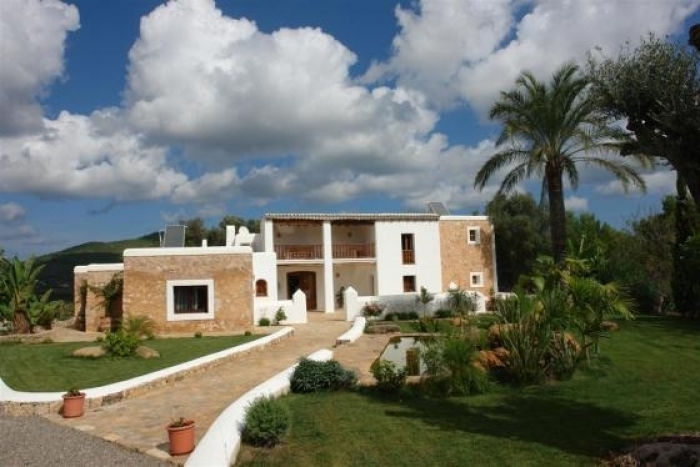 Beautiful luxury villa in Ibiza which sleeps up to twelve people in air conditioned comfort. Located 10km from the beach in Sant Joan de Labritja, in the north of the island, the house has a good sized pool and a lovely, peaceful garden. 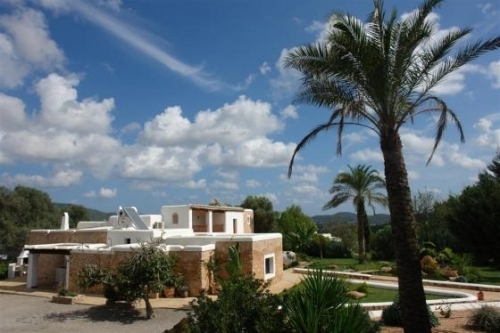 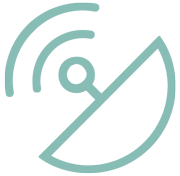 Ibiza airport 22km. The upper floor has and air conditioned double bedroom with en-suite bathroom with shower stall opens onto a terrace with garden lounge furniture. Independent access to an air conditioned double bedroom with satellite television and en-suite bathroom with shower stall. 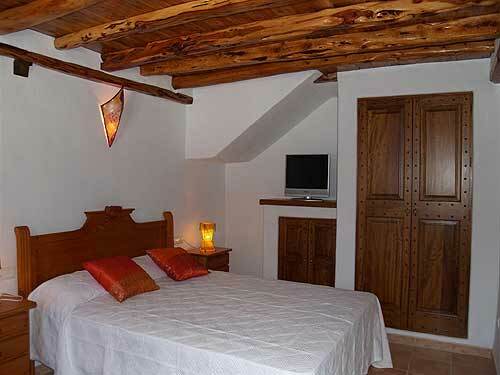 Air conditioned double bedroom with satellite television, en suite bathroom with shower stall, access to a small terrace. 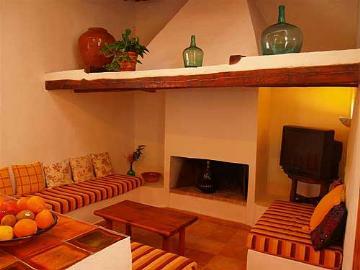 The ground floor has a spacious living and dining room, with Hi-Fi. 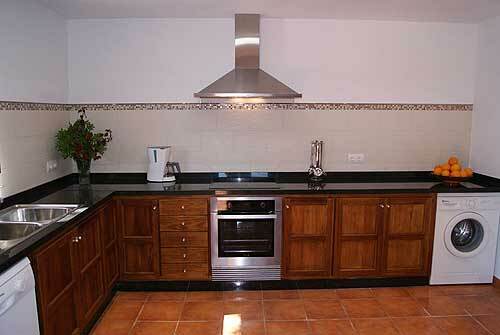 Open-plan fully equipped kitchen. Air conditioned double bedroom with satellite television and en-suite bathroom with shower stall opens onto a small terrace. 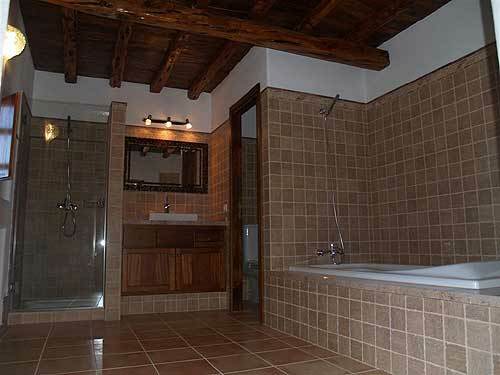 Further air conditioned double bedroom with en-suite bathroom and shower stall. 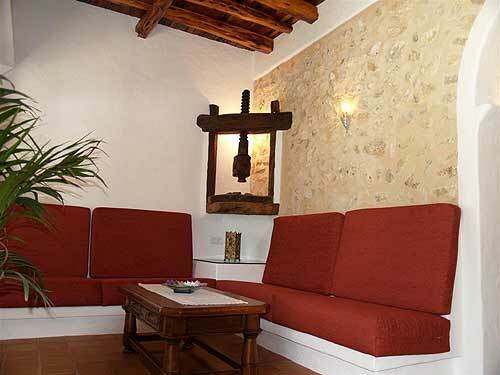 The interior decor is tasteful and smart with some nice authentic touches. 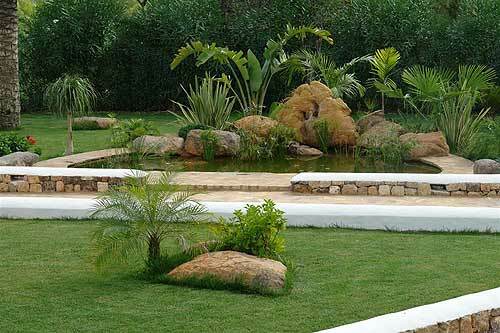 The superb garden has lovely lawns and a small pond (careful with small children) as well as a beautiful pool area. There are covered patios where you can eat outside and enjoy the long summer evenings and cook a meal on the built in barbeque. 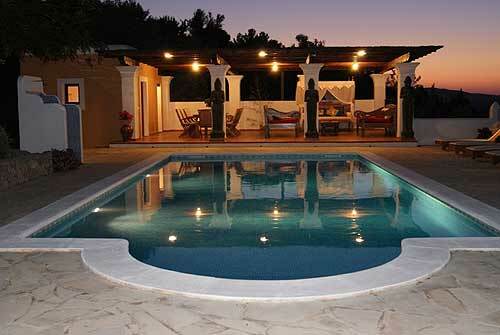 Access to the property is through electric gates and there is plenty of parking space.